Parasites really tick me off. Let’s have a look at them and see what makes them tick. We can then tick this subject off our list. Now that the obvious puns are out of the way let’s move on to the decidedly serious business of ticks, and the danger they pose to your Labrador. 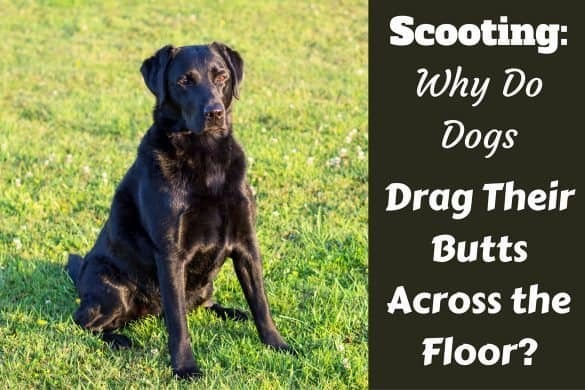 What Threats Do Ticks Pose to My Labrador? Do I Need To Take My Dog To the Vet? Ticks are a parasitic form of arachnid. Yes, that means they’re cousins of spiders, scorpions and other eight-legged creatures. They are most closely related to mites and have been in existence since the days of the dinosaurs. Though admittedly repulsive to human sensibilities, ticks are an evolutionary marvel that have developed the ability to draw all the sustenance they need from a single food source: blood. This is called hematophagy. Though both pose a risk, it is the hard-shelled ticks that most commonly feed on domestic dogs in the Western world. Examples include: Deer ticks, Lone Star ticks, Brown Dog ticks, and the Castor Bean tick. There are approximately 900 species of ticks living around the world, but they are most common in warm, humid areas. Forests and areas near rivers and streams are where most dog owners will come in to contact with ticks, as well as fields of tall grass. Egg – Eggs are laid on the ground and hatch when certain moisture and temperature requirements are met. Larvae – The newly hatched larvae attach to a small host and feed for a few days before detaching and then molting and becoming nymphs. Nymph – In the nymph stage, the tick attaches to a new host (possibly a dog) and again feeds until it’s ready to metamorphose into its adult form. Adult – The adult latches on to yet another host on which it feeds and mates. The male dies and the female lays its eggs. Although the process varies slightly from species to species, generally ticks follow this very similar pattern. In nature, it is suggested that ticks play a role in culling herds by spreading disease. But, since our domestic dogs are pretty far removed from the circle of life, we definitely want to keep these tiny pests away from our pooches! The major problem with ticks (and mosquitos, for that matter) is they carry ‘vector-borne diseases.’ That is to say, they are not the cause of the diseases, but they carry them within their bodies and may transfer an infection to the host during feeding. Usually transmitted by Deer ticks, Lyme Disease can affect almost any kind of mammal, including you and your dog. Symptoms include loss of appetite, fever, swollen joints and lymph nodes, and depression. Left untreated, it can cause renal failure and may ultimately prove to be fatal. A bacterial infection of the white blood cells, ehrlichiosis can cause swelling in the lymph nodes, the liver and the spleen. Depending on the severity of the infection, symptoms may include anemia, bleeding that won’t clot, inflammation of the hind legs and eyes, stiffness, lethargy, and loss of appetite. Chronic re-occurrences are a possibility. Symptoms of phagocytophilum are frustratingly vague and include lethargy, loss of appetite, lameness, and possibly neck pain. Platus presents itself more obviously in the form of bruising on the belly and gums, and nosebleeds. Another bacterial infection, this one affecting small blood vessels in the body. Weakening of the vessel walls can cause blood leakage and rashes. Damage commonly occurs in the brain, heart, and kidneys, and the condition can be fatal. Symptoms to watch for include fever, joint pain, anorexia, and depression. While found through much of North America, it is most prevalent in the South and South-central States. The females of a few species of ticks sometimes inject a neurotoxin into the host during feeding. This toxin can lead to fast-spreading paralysis. 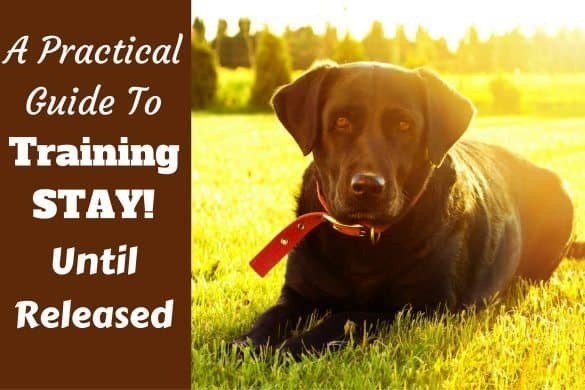 Left unchecked, the unfortunate dog will progress from fatigue to numbness, and then paralysis of the extremities. Eventually, the paralysis will move to the face and tongue. The toxin continues to be passed to the host as long as the tick continues to feed. Fortunately, it can take up to a week for the transfer to occur, and generally, symptoms improve after the tick is removed. In rare cases (about 12%), tick paralysis will result in death. Not all tick bites result in disease transmission. As I mentioned above, some dogs are allergic to the tick itself. In such cases the dog will experience redness around the bite, severe itchiness and swelling. Even in non-allergic dogs, a similar reaction to a tick bite may be observed. Blood loss and anemia are other possible side effects of a tick bite, as are fever and a loss of appetite. The best news for dog owners is that ticks are visible to the naked eye. If you’ve been out for a walk someplace known to be a home for ticks (wooded areas especially), give your Lab a good going over when you get home. Use your hands to thoroughly search your Lab, feeling for ticks as you go. Part the hair and get right down to the skin. You might wish to use a flashlight or the light on your cell phone to help, especially in spots like the ears and armpits. Look carefully; ticks are very small (we’re talking head of a pin) before they become swollen with blood. Ticks lack the ability to fly or jump, so they grab on to whatever comes near. 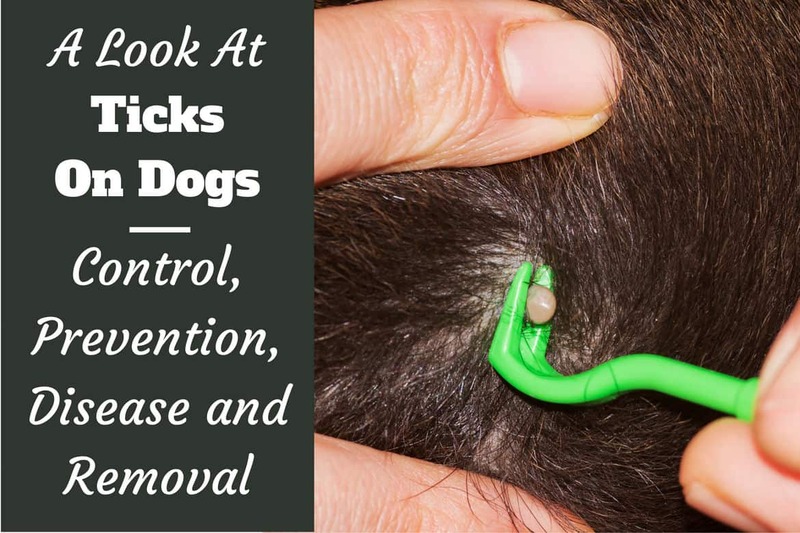 Pay particular attention to the ears, scalp, neck and feet, as these body parts tend to come in contact most frequently with ticks laying in wait. Unfortunately, some dogs will show no visible signs of a tick bite until disease or infection sets in. Be alert for telltale symptoms like lethargy, stiffness, and loss of appetite. First off, don’t panic! The last thing you want to do is yank the tick off in a fit of revulsion. If you attempt to remove the tick in a hurry, one or more things (all bad) might happen: the head and biting apparatus are left behind; the tick bursts, spreading contagion to you and your dog; the pressure forces more contagion into the dog’s body. Nonetheless, you do want to remove the tick as expediently as possible. The longer it’s feeding, the more chance it has to spread bacteria or toxins. Put on a pair of latex gloves, if you have them, to reduce your risk of infection. Using a pair of tweezers, grasp the tick as close to the skin as possible. Do NOT squeeze the tick; this can cause toxins to flow into your dog. Slowly pull the tick straight out of the body. Do NOT twist or turn. Apply pressure if any bleeding occurs. Save the tick in a container, preferably one that’s airtight. (Pill containers or jars are good examples, but choose something you don’t want to reuse.) You’ll want to bring the tick to your vet if your dog appears unwell after the bite. If you have rubbing alcohol, add some to the container to kill and preserve the tick. Remove any parts of the tick that may have been left behind. Clean the bite area with mild soap and water. If you don’t have a pair of tweezers handy, find some thin thread or dental floss. Tie a loop around the head of the tick (like a tiny calf in a rodeo) and then pull tight. 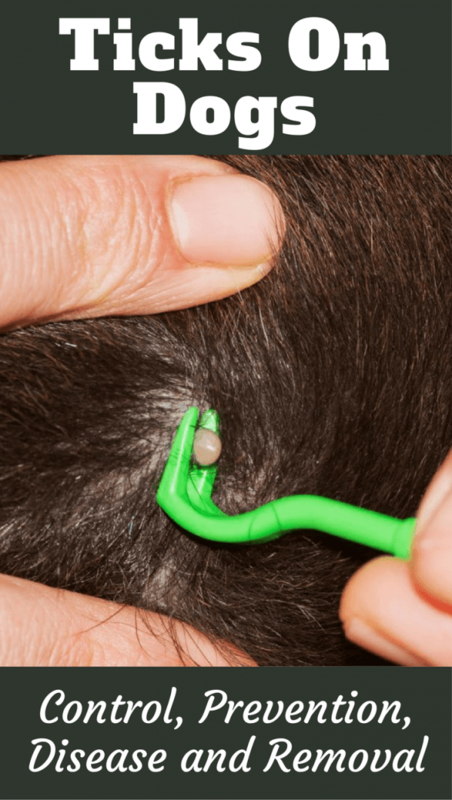 Now you can slowly pull the tick free from your dog. Some sources suggest trying to make the tick let go of your dog by applying heat or chemicals (like nail polish). These are not recommended courses of action. You are far more likely to hurt your dog than convince the tick to give up its meal! If you find and remove the tick early, there’s a very good chance that your Lab will suffer no ill effects from the bite whatsoever. Even a prolonged feeding does not guarantee the transmission of a disease or infection to your dog. Should you find that after a few days your dog has shown no signs of falling ill, you’re most likely in the clear! However, if any of the symptoms we’ve gone over in this article have become apparent, definitely go see the vet as soon as possible, and bring the tick with you. Of course the best tick bite is the one that never happens! Stopping the little vampires from violating your pet is the best way to prevent tick-borne illness. There are numerous ways to ward off ticks to choose from. Combination flea and tick control tablets are available from your vet. 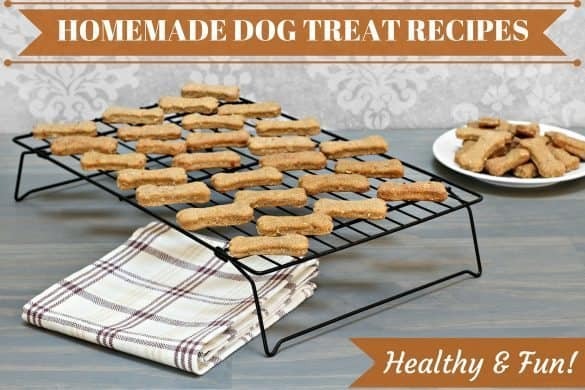 These are easy to administer (my Lab gobbled his up like a tasty treat!) and are effective from 1 to 3 months, depending on the brand.  Examples include NexGard and Bravecto. Probably the easiest methods of tick control, topical treatments are applied monthly to the back of your dog’s neck. 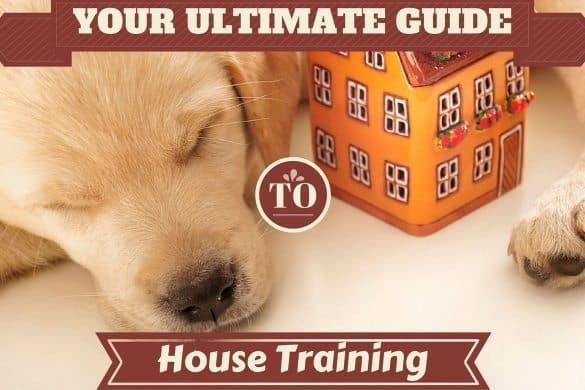 Make sure you choose one that deals with both fleas and ticks for maximum parasite prevention. Another double dose treatment, collars are a tried-and-true method of reducing the risk. Collars can prevent fleas and ticks from feeding on your dog for up to 8 months, which is the entire season in some parts of the world. There seems to be a lot of anecdotal evidence to suggest certain essential oils can be effective in preventing tick bites. Rose geranium oil is often cited as being the go-to oil for ticks, in particular. Citrus juice (not oil, but actual juice) and apple cider vinegar also have their adherents. I love the idea of going natural, but I wouldn’t recommend trying anything without first doing a lot of research and consulting with your trusted veterinarian. If you’re an urban dweller, it’s possible that your Lab doesn’t get “back to nature” all that often, other than in your own backyard. Keep your grass short and your yard dry to help reduce the likelihood of ticks moving in. You can even spray or fog your yard with insecticide, but be sure to pick a pet-friendly treatment. Staying away from typical tick hangouts will minimize your dog’s exposure to the little critters. Avoid grassy fields, brush, and wooded areas, especially during tick season, typically the warmer months. 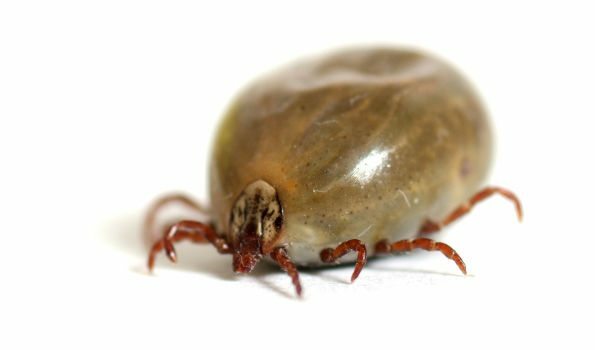 Your veterinarian and local pet owners are a good source of information for tracking tick sightings in your area. Ticks are one of the pests most feared by dog owners, even the non-squeamish. But they shouldn’t keep you both penned up indoors! While the ramifications of a tick bite can be severe, being pro-active minimizes the chances. And being selective about where you walk your dog, coupled with a keen eye afterward will reduce the risk even further. Keep calm and walk on, my friends. 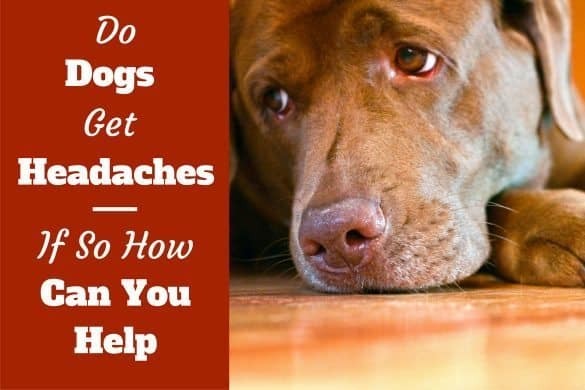 Do Dogs Get Headaches? Is Your Pup In Pain?